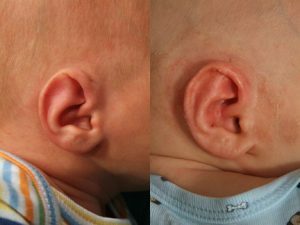 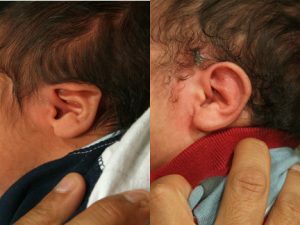 Stahl’s ear deformity in newborn infants (also called Spock’s Ear or an Elf Ear) is an infant ear deformity characterized by an extra horizontal cartilage fold which gives the ears a pointed shape. 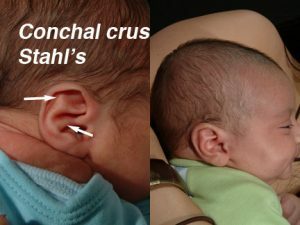 The Stahl’s infant ear deformity (Spock Ear or Elf Ear) is characterized by a transverse crus (see arrow in photo) extending outward from the antihelix rather than continuing upward in a gentle bend as the superior crus helix. 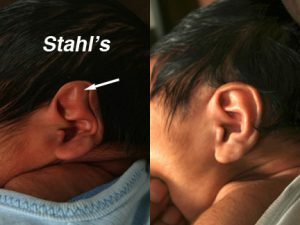 Please compare the normal ear in photo to right in to Stahl’s ears in gallery below.. 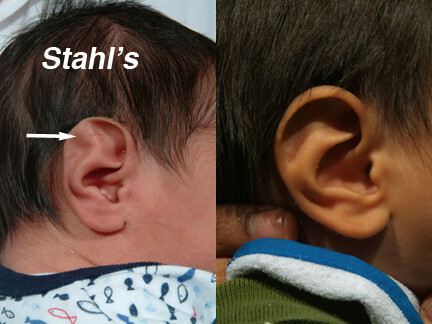 Adult anatomic and surgical studies (Yotsuyanagi PRS July 2015) have affirmed that the Stahl’s deformity is largely related to the abnormal insertion of the auricular transverse muscle which creates the abnormal transverse crus crossing the scapha. 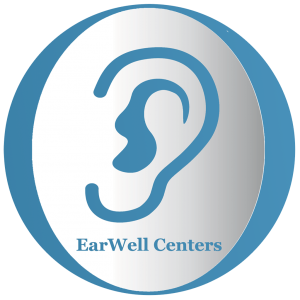 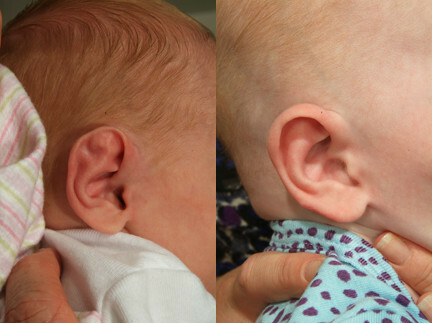 EarWell Infant Ear Correction System therapy stretches out the offending muscle (auricular transverse muscle) and restores cartilage shape so as to eliminate the transverse crus thus avoiding the angulated and pointed Spock ear look. At the same time the normal superior crus is restored. 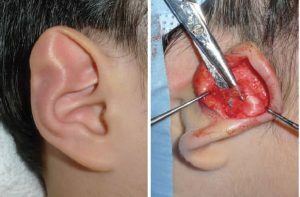 Please view the photo of adult (older child) Stahl’s ear by Yotsuyanagi requiring surgical release of the offending muscle and then the difficult process of cartilage reshaping. 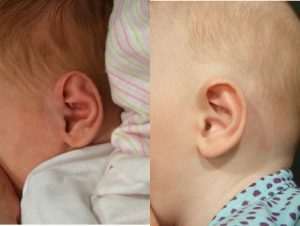 The EarWell™ Infant Ear Correction System, an FDA-approved, non-surgical, painless solution for correcting ear deformities in the first two weeks of life may have precluded one from having to operate on children with Stahl’s ear.